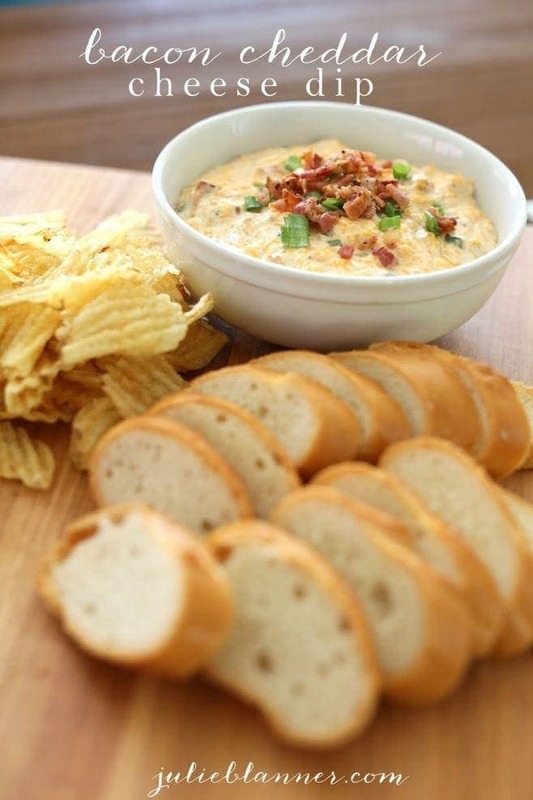 Incredibly easy Bacon Cheese Dip that’s always a favorite for game day or get togethers! 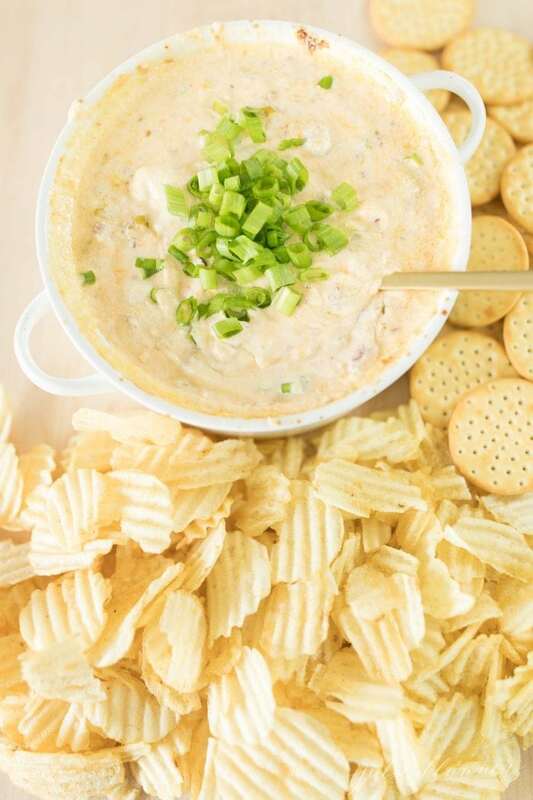 This creamy mix of bacon, cheddar, cream cheese and sour cream topped with green onion is irresistible! Bacon Cheese Dip is a quick and easy appetizer that I love to make for just about anything because it’s always a crowd pleaser. 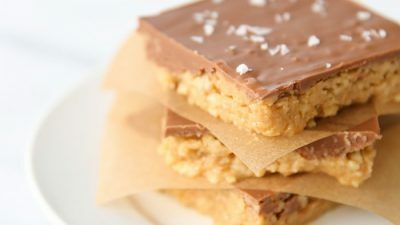 You can double the batch and you’re still going to come home without a bite left because it’s just.that.good. I tend to make this for a lot of fall and winter get togethers because a hot cheese dip, always does the trick. You can dip just about anything into it – buttery crackers, Ruffles, toasted baguette, carrots, celery, peppers and more. If I only get to make one dish, I want to bring it. I am especially proud that this recipe helped my friend Becky take away an award from her neighborhood block party. Did you hear that? Award winning! It’s the little things. It’s great for game day, or let’s be honest, any day. 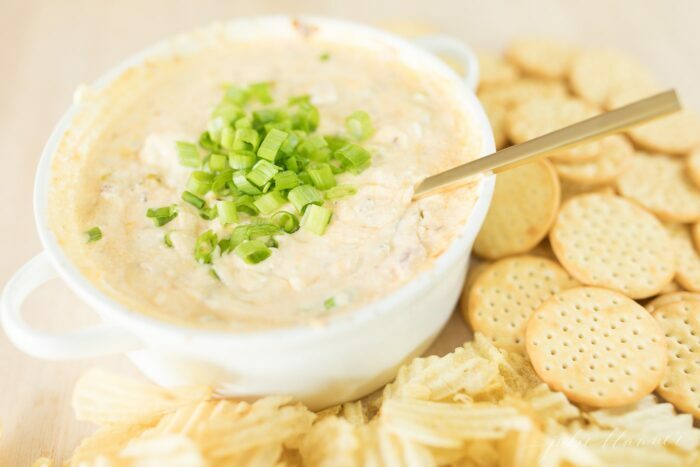 One of the many reasons I love this Bacon Cheese Dip recipe is that if you’re short on time, you can make this dip ahead of time by tossing all the ingredients together in a baker and refrigerate until you’re ready to bake and take. It’s easy to transport, too! 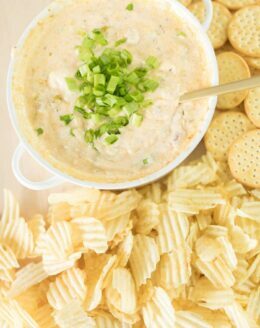 Use mild cheddar cheese to make Bacon Cheese Dip because it’s sharp flavor adds so much to this creamy dip. You can purchase pre-shredded cheddar, however I highly recommend purchasing a block and shredding it because block cheese is always a higher quality and it won’t be dry, resulting in the creamiest, stringiest, Bacon Cheddar Cheese Dip! You can fry 1/2 lb of bacon and tear it into little pieces or to save time, purchase bacon pieces. They greasier and more tender than bacon bits offering the next best thing to fresh bacon. 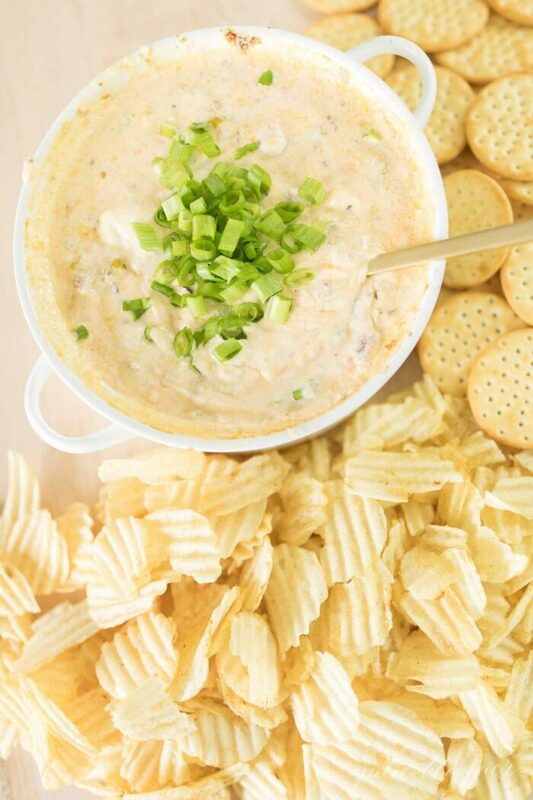 This Bacon Cheese Dip is made from shredded cheddar, cream cheese, sour cream, and bacon. The magic happens when they melt together and bubble so beautifully creating a tasty cheese dip that will have everyone begging for the recipe! Top it off with fresh chopped green onion for added flavor and presentation. 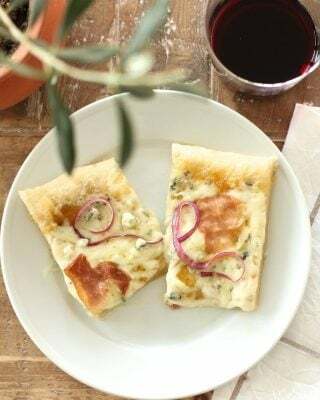 If you love this recipe as much as I do, please write a five star review and help me share on Facebook and Pinterest! Be sure to follow me on my social media, so you never miss a post and sign up to receive each new recipe to your inbox! This Bacon Cheddar Cheese Dip has been so popular, I made a video to show you just how easy it is! 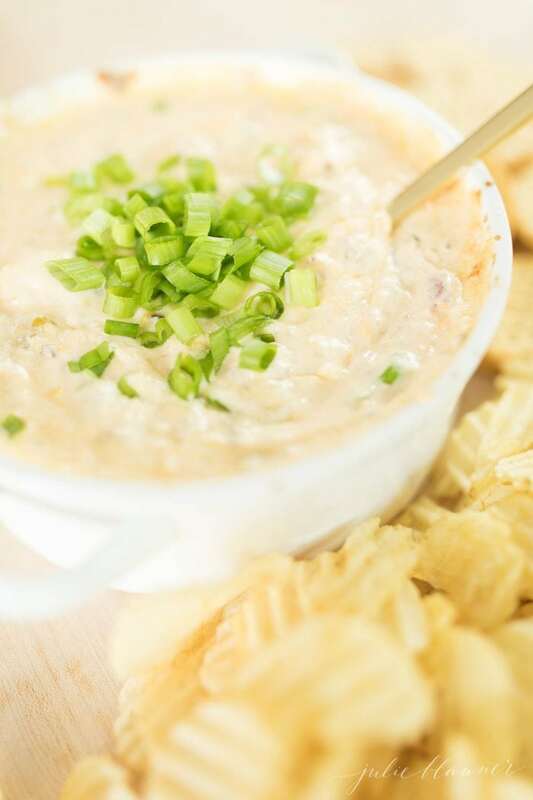 Incredibly easy Bacon Cheese Dip recipe that's always a favorite for game day or get togethers! Combine cream cheese, sour cream, cheddar and bacon in a baking dish. Garnish with green onion. Stir and serve with veggies, crackers, baguette or potato chips. You can substitute bacon pieces for cooked bacon. Use fresh shredded mild cheddar for best results. You can make ahead - just combine, refrigerate and bake just before serving. 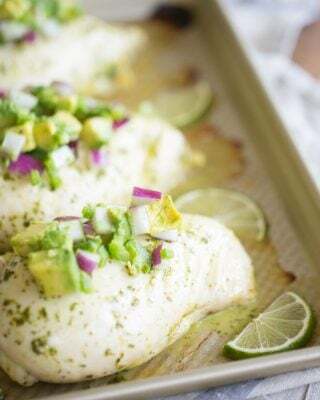 Avocado Salsa Recipe for Chicken, Tacos, Salads and More! Just took this from the oven and completed the taste test. I am in so much trouble. The boys and my husband will not be home for awhile, which means I am here alone with this amazingly delicious dip until then! This will grace all my appetizer tables going forward. Uh oh! Good luck to them! Could you substitute the sour cream for Greek yogurt? You probably can, but I haven’t tested it. Let me know if you do! This one is in my sure fire recipe list! I always win “tastiest treat” when I make it! Love it! And so easy!!! It’s always hard to say with a dip, but I usually serve it with groups of 15-20, alongside other appetizers. Thanks for sharing, Jennifer! Glad you love it as much as we do! You have to try the onion dip, too! Have you made this ahead of time and reheated the day of the party? Absolutely! Just stir in the green onion right before baking. Enjoy! I warn you, it’s ridiculously good! Made this for the Super Bowl yesterday and it was a hit!! We decided it tastes the inside of double baked potatoes. Yummy! So glad you love it, too! YES!!! That’s exactly how I’d describe it. You’re totally right! Thanks for taking the time to return and review! I’m so glad to see this recipe again – I made it a couple years ago for our office potluck and everyone loved it! I can’t wait to make this again this weekend! Cheesy dips are the best! This one is perfect for a game day this weekend! I am the biggest fan of adding bacon to everything so this dip is right up my alley! Sounds like perfection! who will not love Bacon Cheese Dip . simple to prepare and delicious. most preferably for kids. my daughter loves it a lot. 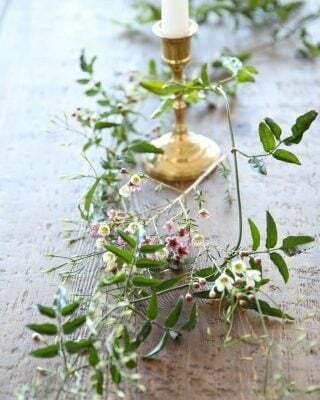 never leave me when I am preparing this. must try dish at home! !